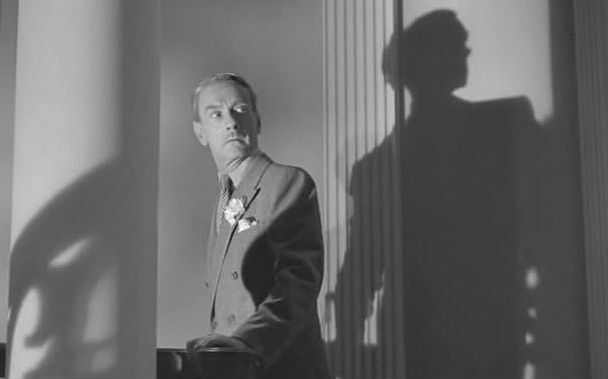 This post is Part 2 of my contribution to the Fairy Tale Blogathon, hosted by Movies Silently. 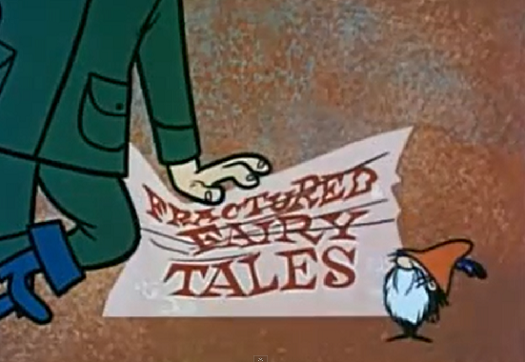 Fractured Fairy Tales was a regular animated segment on The Rocky and Bullwinkle Show. (Do a search on Youtube. Many are available to watch for free.) The tales were narrated by Edward Everett Horton and voiced by June Foray (who also voiced Rocky the Flying Squirrel and Natasha Fatale), Bill Scott, Paul Frees and Dawes Butler. When I was a little kid, I would watch Rocky and Bullwinkle now and then but never liked it. I guess because it was animated, network executives thought it was for children, so they would program it with other children’s shows and cartoons. It took me a while to figure out it really was for adults. The Rocky and Bullwinkle segments were a dead-on satire of Cold War politics. I had to grow up to get the jokes. 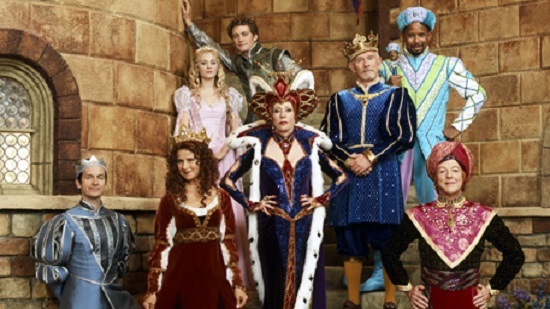 This post is Part 1 of my contribution to the Fairy Tale Blogathon, hosted by Movies Silently. 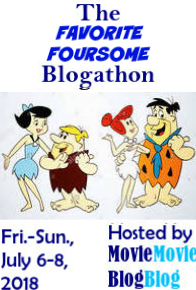 For the past couple of years I’ve been writing fractured fairy tales, so when Fritzi at Movies Silently announced the Fairy Tale blogathon, of course I had to have fairy tales of the fractured variety as my subject! Are Young Adult Movie Franchises Dead in the Water? This past week Publisher’s Weekly linked to an article by Tara Aquino on the web site Complex.com about the failure of three YA movie adaptations this year: The Mortal Instruments: City of Bones, Beautiful Creatures and The Host. While she doesn’t exactly come to the conclusion that young adult franchises are a dead commodity, she does seem to be dismissing the YA movie franchise trend … Continue reading Are Young Adult Movie Franchises Dead in the Water? Are Soap Operas Poised To Make A Comeback? It’s hard to believe now, but there was a time when the revenue generated by daytime soap operas paid for nighttime programming on the major networks. This past decade and more, soap operas were not just on the wane, but an endangered species. With only four currently left on the air, the demise of this once popular genre seemed to be less a question of … Continue reading Are Soap Operas Poised To Make A Comeback? 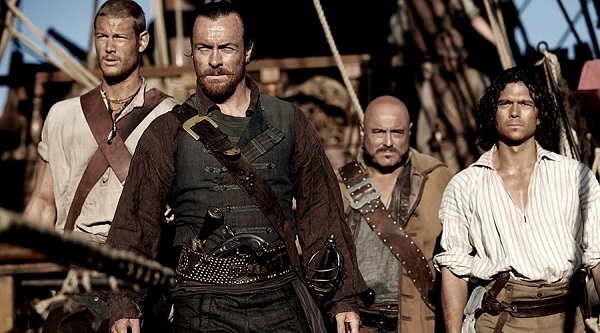 Is Drama Dead As A Hollywood Genre? We’re just now heading into the fall season, when Hollywood traditionally serves up “adult movies” (translation: Oscar bait) movies. We’re supposedly done with the summer blockbusters and have moved on to the movies adult like. Supposedly. This past weekend a drama called The Words opened and did so poorly it helped to make the weekend one of the lowest grossing in the past decade. Luckily, … Continue reading Is Drama Dead As A Hollywood Genre?